Many times as I write this particular blog I am torn as to what to write. Some days I would like to get up and complain bitterly concerning the farce which is Net Neutrality. Giving control of the internet to the FCC will allow this, and other regimes to come to license websites, and then most blogs will likely be gone. Other days I would like to alert you all to a big spike in the radiation levels at Fukushima Daiichi. They have a new leak of radioactive water, and there are uncertain as to its origin. However, most days I try to adhere to bringing you practical information with regard to preparedness for items that are no less important. 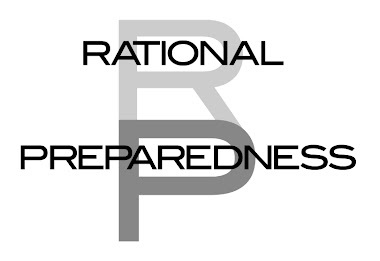 For today, at least, I will direct my attention to preparedness. Please read about Net Neutrality and about the radiation at Fukushima Daiichi elsewhere. The links I have provided below are a good start. Today, I would like to talk a bit about earthquakes. The 5.8 earthquake which occurred in Central Virginia in August, 2011, changed the landscape forever. Two schools were damaged to the point of being condemned and later destroyed. Some nice homes were broken in half, and judging from my last trip up there, still are. Foundations and even brick homes were destroyed. The quake damaged monuments in DC and was felt in high rise buildings in Toronto. Though historical brick buildings have been repaired and two schools rebuilt, the real estate market in the target area will never be the same, nor will the confidence of people living in many areas of the country, who now realize that whether your area is in a known earthquake zone, that an earthquake can in fact occur, anywhere and at anytime. People in the earthquake area were long told that "we don't have real earthquakes here". The builders whose own homes were damaged or destroyed in Virginia of course, knew that they were. However, a large number of people who had damaged glassware, thrown canned goods, collapsed closets or upset Pomeranians really may not have known whether their homes were damaged. This is the point of today's post. FEMA, when it sends teams to a place that has an earthquake is quite naturally focused on those with serious damage. Obvious earthquake damage to a well, a septic, a foundation etc. is certainly going to receive attention whereas the people who don't think they have any damage, are not. However, families can miss damage to their homes, as serious damage may not be obvious until later. After an earthquake, ANY earthquake, these are things you should note and consider. If you have any of these things at your home, you may wish to hire a licensed contractor to evaluate whether these are cosmetic issues or new structural ones. Remember also that your home may not be damaged by the initial quake, but that aftershock damage is cumulative. 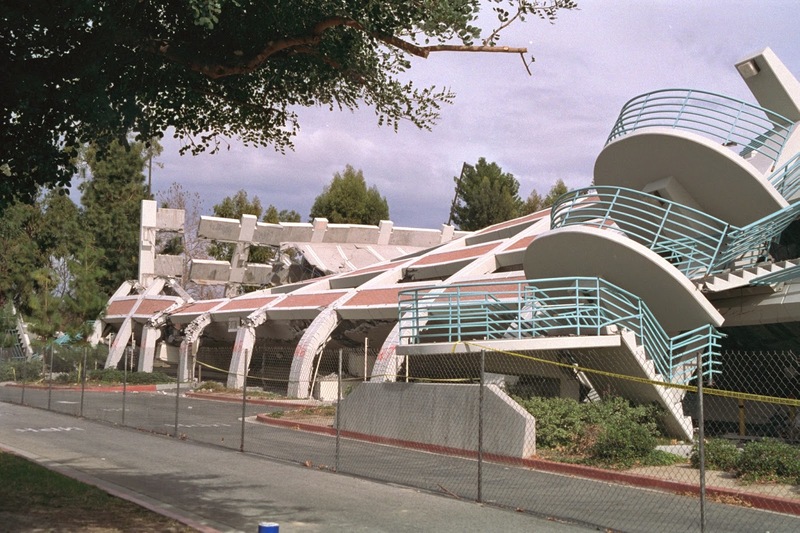 The aftershocks may damage a home when the initial quake did not. Turn off gas if you have it, and have your gas company check for leaks as soon as they are able. If you can smell gas, tell your gas company and do not reenter the building. 1. Inspect your home in daylight following the quake. Go to all sides. Note any superficial or large cracks in the foundation or brick structures. Does anything look crooked ? Is the floor protruding from one side when it wasn't before ? Has the roof or the gutters pulled away from the house ? 2. Is your brick chimney still standing ? Does it have cracks or dust from mortar which has fallen from the chimney ? Is it still attached to the building or standing freely by itself ? You should not use the chimney whether it burns wood or vent gas logs until it is inspected. Carbon monoxide is a risk. Certified chimney inspectors do exist and the faster you schedule one, then the faster you can safely use your chimney again. 3. Take a tennis ball and place it on the floor of each room. Does it roll ? If it does then the earthquake may have caused some shifting in the foundation, and you should get an inspection. Note all creaking when you walk on the floors that did not exist before the quake. 4. Are your fences crooked or broken ? Can you open the door to your toolshed or outbuildings ? Has your deck pulled away from the house ? Do your exterior staircases and interior ones look and feel the same as you use them ? Check everything in daylight. 5. If you have a well your water may have slightly muddy water following a substantial quake for a week or two. Anything more than slight clouding could mean that a well inspector needs to look at your well. There were families who had to have a new well drilled following the 2011 quake. Sometimes the water level of your well will change after a quake. 6. Open all your windows and open all your doors. Open glass sliding doors. Does everything still work ? 7. Look at all the hidden areas in your home. Check crawlspaces, basements, understairs storage, for changes. 8. Check all masonry. Are the concrete pads or patios cracked or damaged ? 9. Check your furnace, hot water heater, and other appliance connections for leakage. Look for plumbing leaks. 10 Look around windows and doorframes for cracks and look at corners of drywall. 11. Check your electrical systems, and check to see if all your lighting fixtures are intact, and if they are, if they are operational. 12. Do you have any area of collapse on your property ? These can just be concave areas where they did not exist before, or actual holes. Note also any sandy areas where they did not exist prior. 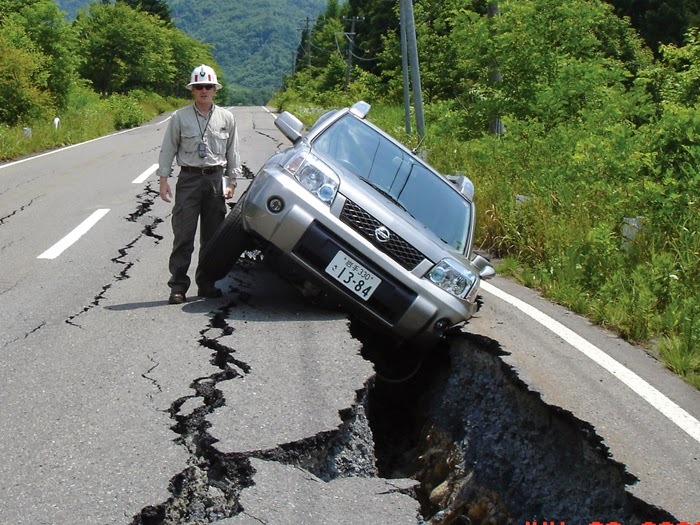 Keep children and pets away from any soil or areas which has changed following an earthquake until an inspector of some type has certified their safety. This is not a comprehensive listing of everything that should be done following an earthquake. It is a start which will help families to recall following such an event, that there are specific tasks which will need to be done once the safety of family and pets is assured. When I was a child my parents kept a basement of emergency canned food. It wasn't so much for fears of nuclear attack, I think, but more out of concern for a protracted Winter storm or a series of such. At the time, we lived in a farming area in the Northeast, and some of the Winters there conjure my memories of Siberian Winter. I remember in particular many cans of grapefruit, pineapple, and tomato juice, and of course lots of fruits, vegetables, and canned meats. I remember that most foods at that time, could be retained for ten years, regardless of the coded or uncoded dating system. After a couple of years in the basement, canned food was sent to the pantry upstairs for consumption. In all those years I don't think we ever needed to throw a can away. I stock short term food supplies, and long term supplies in my own home, and I always have. The short term supplies are canned, just as they always have been, and I stock the #10 freeze dried canned varieties for long term storage, as these will last ten, twenty or even thirty years depending upon the type of food packaged. Both standard canned foods and the #10 freeze dried varieties are stored in areas which are both heated and cooled in order to lengthen their shelf life. These tend to be cool places year round. After about two years in temperate storage, I move the regular canned goods to the large pantry in the kitchen for consumption. With a large family and a lot of sons, it has been rare that something hasn't been consumed and gets discarded. I also have a couple of rules about buying canned goods. I don't ever buy dented cans simply because I am buying for storage. I am content to pay a little bit more for the ability to store for a longer period. In addition, I have noted that many of the generic cans of vegetables and fruit are now made of much thinner cans than they used to be. Some will actually click and pop back and forth if you test them with your thumb, which is something I was taught they should never do. A few years ago, after the 5.8 earthquake which destroyed homes and schools in the next county, I took a good look at all of our canned foods. During the quake, canned food was thrown up against the pantry door. I checked everything for dents and bulges and I did throw a few things away in the event that there had been an unseen rupture. A short time after, we had an explosion, or more correctly a seepage under pressure from a can of dog food which had a pull top lid. The dog food was not stored in the area I had checked so closely. Black foul smelling greasy spray had contaminated the cans around it, the shelf liner, and some cleaning products I kept nearby in another cabinet. I threw out all of the sprayed materials and decided to keep a more careful watch of anything with a canned pull top lid. I cleaned the area around it with gloved hands and bleach, before allowing the cabinet to dry and then later restocking. This year while pawing through canned fruit while considering what type of cobbler to make for dessert, I found that a large can of peaches, which I had purchased about a year ago had leaked black bubbling fluid onto a number of other cans of fruit. I donned vinyl gloves, removed the offending can and the five other contaminated ones. It seems that cans are being made far thinner than they used to be and that the seals to some of them are not holding. Bacteria is seeping into some of these cans and when a gas is eventually produced, the can either ruptures or explodes causing you to lose other cans, which after such severe contamination, cannot safely be cleaned and used. Interestingly, the offending can came from China as did the five others that needed to be thrown away. 1. I think that in future, we will buy more freeze dried food in #10 cans. and fewer conventionally canned foods. 2. Since the cans from China and Thailand definitely seem thinner, and I tend to stock canned foods rather than use them immediately, I plan to avoid cans entirely which were not canned in the US. I do occasionally buy food from the Asian grocery and I have not found the Japanese food to have poor canning quality control. Also, with regard to the Chinese canned food, companies in China do not have the same liability as do American companies when selling canned goods here. This is another good reason to be wary. 3. I plan to consume acidic foods in cans more quickly than within two years. Acidic foods would be tomato products, pineapple, mandarin oranges, etc. 4. In the past I did keep some canned Italian tomato sauce for pizza. I am considering buying it in glass jars now. 5. When you do buy canned foods, buy just three or four at a time, rather than twenty or twenty-five. You are more likely to get cans home without having them dented during packing or the trip home. The more cans they bag for you, the more dents are likely to occur. This will make stocking up during sales a bit more difficult, but perhaps we should pay a couple cents more and avoid the exploding can trap. 6. Always return or throw away any can that bulges from one end, seeps, has a dent over a seam, or clicks back and forth under pressure from your thumb. 7. Always unload canned foods from your car. Don't allow them to remain in the car overnight during hot weather or during freezing weather. Whether the can ruptures during freezing weather or not, storing canned food in unheated or uncooled areas costs its lifespan. 8. We will continue to keep canned foods in storage in heated or cooled locations that are dry to ensure their maximum lifespan. Avoid cans which are rusty. They should be stored in areas where rust does not form. 9. Select generic cans carefully. Some generic cans seem to be made of thinner metal than others. We can still use generics, but we should select the more substantial cans. Be alert to labels which are stained, indicating leakage from somewhere, perhaps that can, perhaps another. 10. This also impacts something else we do. 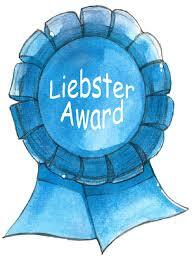 When I am able, I donate new canned goods to a food bank, and sometimes to church. Although these are used by church pretty quickly, I have no idea how long the food banks stock supplies before giving them out. In future, I will donate only boxes of canned food which comes from Sam's Club which is not only American made, but is known to be very fresh by virtue of rapid turnover and good quality control. Steven Fry and I do not share thoughts on faith or on God, however I think he is a brilliant man and a fine actor particularly in the comedic sense. Steven Fry has suffered bipolar disorder for possibly all of his life. Maybe it's because I am a nurse, or perhaps it's because I don't stand in judgement of people, but a lot of people confide in me when they are having difficulties. Many human beings approach mental illness or mental difficulties incorrectly. 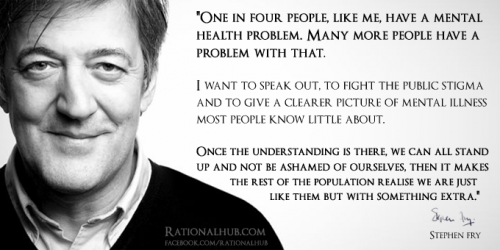 Many people see the bulk of humanity as mentally healthy and people who struggle with a mental health issue as rarities or as people who have done something wrong. Some people think that people who struggle with a mental illness challenge have displeased God and are being punished for it in the form of a mental health challenge. In reality, statistically every family has someone who is struggling with a mental health issue. Privately, I believe that if you include depression, anxiety, eating disorders, situational crisis, and bereavement then every human being is at risk at some time in his or her life for a potential mental health issue, even if it is simply a situational adjustment disorder. If you have worked as a police officer, fireman, nurse, first responder, or as a soldier then you have witnessed some things that may well surface later as sources of sorrow or even could ultimately be described as part of the spectrum of Post Traumatic Stress Disorder. Those who have experienced a concussion of any cause are much more likely to experience mental health issues later, particularly as they apply to mood. I think it's important to acknowledge this because judgement of others simply isn't constructive. Some of the things we see as human beings are so egregious that I would wonder more about the mental health of a person if they were not disturbed or a little tortured over the experience. We need to have empathy for other human beings to function effectively in almost any role. I don't want police who don't have compassion for a man in a difficult situation. We all don't want nurses who think someone is "carrying on" when we complain of severe pain. Humanity can be a double-edged sword, and this is true, but not to have humanity or empathy would be far worse. In all honesty, I know more people who are struggling with a mental health issue now than I ever have. The reasons for this are multi-causal. First of all,in the past, many people would hide their issues due to the stigma of mental illness until they became a suicide. Sometimes suicides were recognized as suicides, and other times in the past, they weren't. I have a close friend whose father committed suicide when he and his siblings were children, and this had a ripple effect throughout family and friends for many years. No one was sure why he did it, and everyone blamed themselves. Suicide does great damage, not only to a family in present day but to children and to grandchildren who are yet to be born. Secondly, in the era of social media and the accompanying social shifts, many people are enduring more background stress perhaps than they noticed in the past. They will tell you that they are bombarded with sad news on all sides. Television, social media and the internet shouldn't be sanitized, but they are a source of stress for many. On one channel there are twelve coptic Christians being beheaded by ISIS on social media. On another, there is the trial of a foster mother who murdered her foster child. On another there is a report of a widespread layoffs coming from a large worldwide company with corporate headquarters in the United States. This particular blog is meant to be informational and I make great efforts to be positive, yet women in particular have said they find it "depressing sometimes." The You-Tube video showing a number of young Ukrainian soldiers holding a house in a war zone, and then the following day showing them all dead is quite disturbing, even if the intent of actually completing the second part of the video may be Russian propaganda. In the nineteen fifties and even in the sixties, most of us lived in relatively insular worlds without bombardment of media. We watched the news at night, and particularly in the US, it was a fairly provincial process. The networks didn't tell us much that didn't directly impact Americans, and frankly most Americans knew so little about other lands that many of us wouldn't have cared about issues in Senegal, Brazil, Vanuatu, or Sakhalin Island. I saw this less in criticism and more in contrast as background for the present day. Even during World War II, most families had psychological safety zones at home or at school or work, despite the fact that Europe, the UK and the US all were enduring a longstanding existential threat. The other reason I think we are seeing more mental illness is diet. As magical as our bodies may seem, we are chemistry sets. Much of our mood, our outlook and our behavior is modified by our blood sugars. When we eat high glucose foods and trigger higher than normal amounts of endogenous insulin, we teach our bodies to live on a glucose roller coaster.. For an hour or so after eating too much we may be thirsty, impatient, and temporarily energetic or even hyperactive. Then a couple of hours pass as our bodies liberate lots of insulin, and our blood sugars drop. Even non-diabetics become anxious, more prone to annoyance, and less likely to complete the task well. Since the amount of insulin we produce tends to be the same the following day, we have just set ourselves up to crave high sugar the following day at about the same time. The same may be true with regard to various deficiencies in trace elements and vitamins. So much prepared food and erratic eating habits may result in deficiencies of which we are unaware. Some families require more of some vitamins than others. Certain disorders cause us to require larger amounts of B-vitamins for example, to ensure proper food utilization. Deficiencies of chromium, for example, can lead to disorders of glucose regulation and potentially a mood disorder. Sometimes though,a person who is otherwise healthy and is eating more or less properly experiences something in life, and the neurotransmitters which modify our moods just can't adjust or properly regulate and a mental health disturbance occurs. When this happens we need to see it for what it is, and encourage the person to get some help. The faster such a problem is detected and addressed then the better the chances are for a full and lasting recovery. 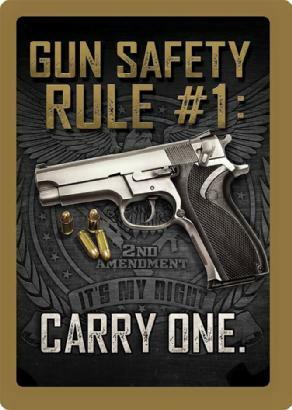 There is one other thing I would like you to do, whether you are preparedness minded or not. In maintaining your own mental hygiene, use common sense about the inputs to which you expose yourself. "Terms of Endearment" makes me sad, and I absolutely can't watch "Steel Magnolias" because the Julia Roberts character dies of complications of juvenile diabetes, and because I have a daughter with Type I. I know I need to read about viruses and smallpox, and biological warfare, and I do so with a certain amount of clinical perspective. I do not have to watch things which I know will upset me. My mother once confided that the "Diary of Anne Frank" made her cry intermittently for weeks. Enjoy social media for the things you wish to do and things which enrich your life. Withdraw from the parts of it which are a draw or an annoyance. Balance your life whenever you can. I hope this has been some positive food for thought. Those of you who know me well know that chocolate is one of my favorite foods. I may not eat a lot of it, but a small square of the good stuff with a cup of tea can be a very welcome pick-me-up. My safe was empty for many years with the exception of a couple of foil wrapped bars of Cadbury's milk chocolate. Most women, and an awful lot of men find chocolate to be an important comfort food. There is also a lot written about chocolate being a potent mood elevator. Chocolate can also be an excellent survival food from a standpoint of providing quick palatable calories particularly during periods of high caloric expenditures during extreme cold or high mandatory activity, as might occur during an evacuation where they could be a large amount of hiking.. Sadly, chocolate in bar form does not last well in the long term. The fats in chocolate over time, turn rancid. Mold in the form of white dots and other markings can also form on the chocolate. Some brands are more likely to grow mold than others. Other items added to the chocolate, like nuts, raisins, etc. can also age and leave the chocolate inedible. Although chocolate rarely grows bacteria, we should not eat chocolate that is contaminated with mold or has turned rancid. I have been experimenting for years to lengthen the storage time of chocolate. At first, I would buy bars of chocolate during the Autumn (when it's less likely to melt). Then, I would double wrap the bars in their original packaging in two layers of aluminum foil. Then, I would store them in a cool dry place. The safest place for chocolate in my home, away from my many children was inside the safe. This also kept the chocolate from me for extended periods. 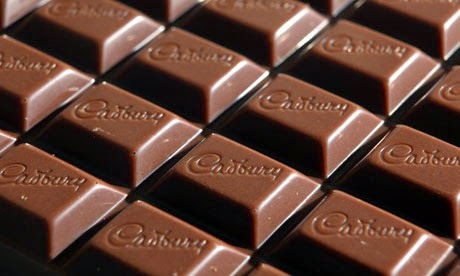 Fresh bars of Cadbury's and the better brands of chocolate will last for as long as twenty-four months. Refrigeration of chocolate can lengthen its freshness, but I have abandoned doing this because even when the chocolate is returned to room temperature, having refrigerated it may impact its texture. Elite Chocolate is available in milk and dark chocolate. Elite Chocolates from Israel (Can also be purchased at Giant Grocery Stores, Kroger, and others.). 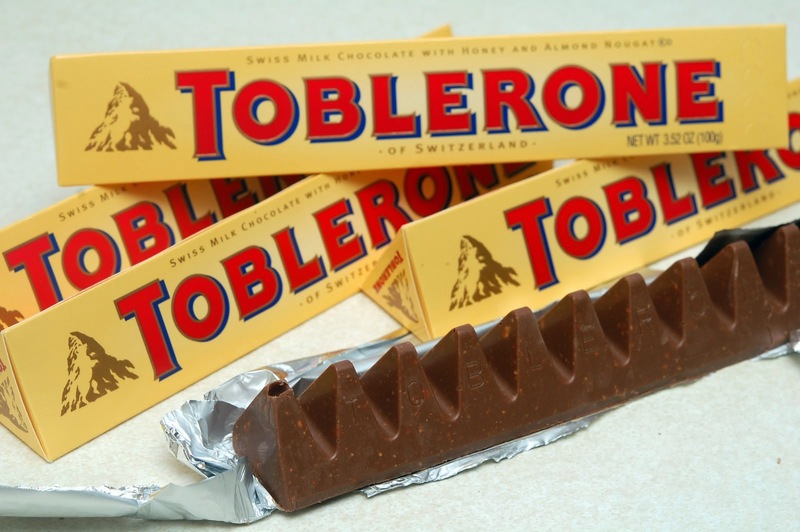 Toblerone will also last 24 months. I have misplaced or hidden bars of Toblerone for Christmas stockings for that long ! Dark Milka, Hersheys and Nestles plain chocolate can also last for almost 24 months if purchased fresh and kept in a cool dry place. I am also told that dark chocolate chips if kept in a cool dry place will also last as long as 24 months. Other friends and chocolate officionados have tried to lengthen the life of their chocolate bars by freezing, sealing with an airtight plastic packaging system, etc. Freezing seems to disrupt the texture of chocolate (just as it does cheese) and so it is not a recommended way of preserving chocolate. The "Seal a Meal" or similarly styled systems do help, but they don't lengthen the survival time of chocolate bars beyond the twenty-four months I already receive from wrapping them in double aluminum foil and storing them in a cool dry place. There are a couple of other ways we might be able to enjoy chocolate in a long term storage sense even if our chocolate bars must be consumed within about twenty-four months. 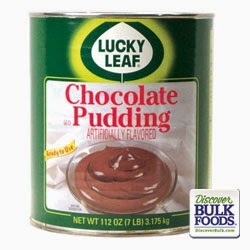 You can purchase ready made cans of chocolate pudding in #10 sized cans. These are quite good and I once bought one for a family reunion. However, once opened this ready made product is opened, it needs to be consumed within a day or two, and so they aren't really practical for families who aren't planning an actual event where most or all of the cans contents would be consumed that day. This is ready made chocolate pudding and will store for a couple of years. You can buy this at any grocery store which stocks institutional sized (#10) cans of food. Some Wal-Marts stock this. 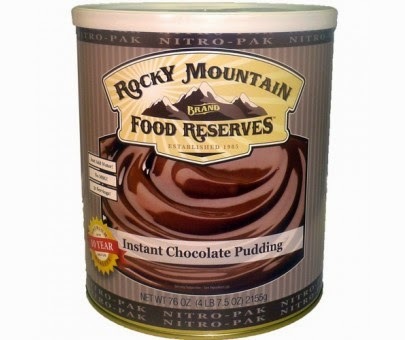 Many of the freeze dried preparedness food companies sell a #10 can of chocolate pudding mix. Such cans last as long as ten years unopened and should be reconstituted within one year once they are opened. These are wonderful because they allow you to mix and reconstitute as much or as little as you need, even just one portion a day, if need be. Some companies sell a freeze dried container which is smaller than the #10 sized, and would be useful for a one or two person household or for backpacking. There are some other ways that you and your family can enjoy the taste of chocolate in emergency situations. 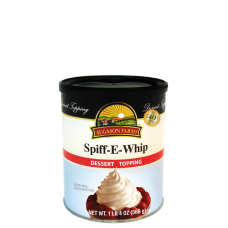 Augason Farms sells a product called Spiff-e-Whip. It's most common purpose is to be reconstituted as per package directions and used as a topping for cakes, puddings or hot chocolate. However, there are some other things we can do for our family chocolate addicts. This product will last ten years in the can, and should be consumed within one year when opened. You may also experiment with this product in order to come up with some reduced calorie or controlled sugar recipes of things you already make. 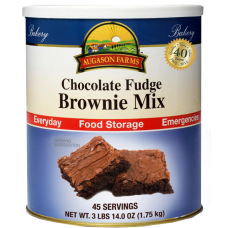 This is a #10 can of brownie mix. It will last many years unopened, and should be consumed in a year once it is opened. Buy It Here. 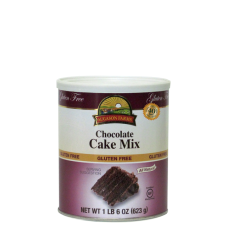 This is an Augason Farms chocolate cake mix which is gluten free. It lasts ten years unopened but should be consumed within one year once opened. Pictured is the everyday sized can. Buy It Here. Certainly, we all have much more important and concerning issues to consider in preparedness than luxury foods. 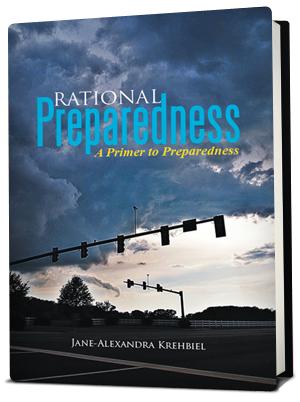 However, keeping a remnant of our normal lives prior to the disaster can be a psychologically very positive thing for both spouses and for our children, especially on special occasions such as birthdays. So, direct your attention to the essentials of water, food, shelter, and medical supplies, but when you can, think about the small items which help to spell security and comfort for individuals, and especially for families. Once Again, I have absolutely no business interests whatsoever in any of the brands or products mentioned in this post. These are simply brands and types of products I have tried and have used. I encourage you to explore other brands also. Most of us know friends who have experienced negative results as a result of an unwise posting on social media or other internet sites. Most of us know someone who has experienced negative fallout at a job for saying something online or posting a photograph which is not in line with their professional persona. 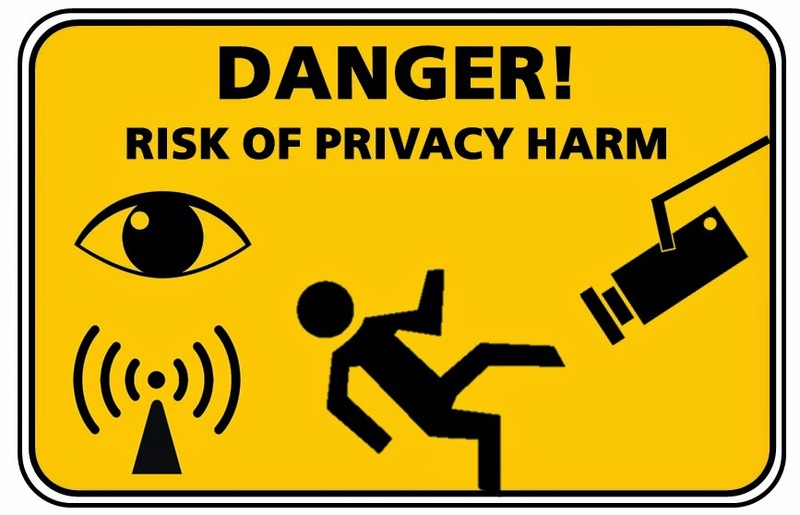 People still have the mistaken impression that information they provide online in the privacy of their home which they needed to enter a password to post, is accessible only to those you intend. They also may have the mistaken impression than no one but the people who are supposed to care will. Quite the opposite is actually true. Brandon Raub, a Chesterfield, Virginia former soldier had a Facebook page which was supposed to be limited to be viewed only by his friends and family. He made some negative comments concerning the current US president. He was unaware that the FBI has been asked to monitor the internet activities of former soldiers Not long after, Chesterfield police in a joint venture with the FBI and other alphabet agencies arrested Mr. Raub and placed him in a psychiatric lock up, in state, but hours from his family and most importantly, his attorney. A search of Mr. Raub's home indicated that he didn't even own a gun ! It took time but eventually a judge released him stating that he "should never have been arrested in the first place". Too numerous to mention here are the number of people who have lost jobs because they made unwise commentaries on Facebook. We cannot quantify the number of jobs people did not get because their name was googled, and their employer found something which placed them clearly behind other candidates who had applied. I know people who have announced their vacations online, and then been robbed. Please understand that between conventional telephone directories, intelius and similar sources, and what you convey on everything from Yahoo Groups, Amazon wish lists, Facebook, Twitter, and Linkedin allows an interested party to fashion a pretty good dossier on you and on your family. Why does this matter when it seems that everyone else you know does the same thing ? A dossier on you formulated by someone unethical, criminal, or even insane can be used for everything from identity theft, to receiving health care on your card and your dime. Someone who uses your health card can have an irrevokable effect on your medical record, and corrections to it often absolutely cannot be made even when the data included is proven to be absolutely incorrect. Physicians will say that it is a legal record, even when someone entered data on another patient entirely while you were in the office or the emergency room. The present social media frenzy is a field day and a dream for both spies and for stalkers. These are just a few strategies that may slow down the flood gates of information. 1. Select only the social media sites that you can watch and police for yourself. Don't pick all of them, if you don't have the time to watch them. 2. Only "friend" or associate with those you really know. Law enforcement does look for online associations. How do you know that the beautiful woman from Paris who connected with you on Linkedin isn't an ISIS operative ? The same may be true of the attractive man from North Africa, even if he is a CEO in a company in the same business as you. 3. Use sense about your criticisms online of your government or of revealing your political views. You can tell the truth, but always do it politely and without anger or anything that could ever be construed to be a threat. 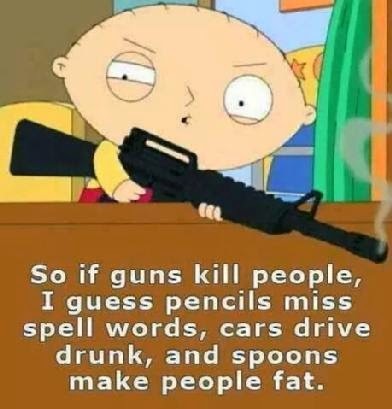 The alphabet agencies and Secret Service has absolutely no sense of humor, and in the present world, I can't say I blame them. 4. Don't ever indicate where you will be on a certain date or time. You open yourself to abduction, robbery, or any number of potential set ups. The criminals and fraudsters are getting smarter, and so we will have to also. 5. Review any pictures you plan to place online over a couple of day period. The pictures of the people themselves as well as the backgrounds to those pictures give a great deal more information than you believe. The same is true of your You Tube video postings. As an experiment, one of my adult children found his friends new house in another city just using the exterior landmarks and the Google Search feature. 6. Craigslist is a wonderful tool and quite a moneysaver. However, you should always take someone with you, and if possible meet the seller at a well lit public location. Predators use Craigslist too. 7.. Make sure that children understand that the internet is a poweful tool but that it has potential to be very dangerous. Just as ethical law enforcement agencies are finding it to be a boon in solving some crimes, criminals all over the world are finding that it opens a realm of possibilities for them also. 8. Function online as if EVERYTHING you have written to your friends in an e-mail is public knowledge, because it easily can become so. Even internet acquaintances of mine have forwarded or even posted online a post I made which had been intended only for them, and had been marked as such. 9. This week Anthem Health Insurance revealed than eighty-million of their customers were subject to a hacking data breach. Our names, social security numbers, street addresses, doctors names, diagnoses, medications taken and all manner of other data may be out there for black market criminals to purchase. This may be time to consider Lifelock or a similar service. 10. If information is very sensitive, then perhaps it has no business on your computer. Perhaps your personal affairs portfolio, your Will, and other sensitive documents belong on paper in a file cabinet and not on a personal computer which can so easily be hacked even under present technology. Paronychia can be so nasty and so severe that they can, on occasion, cause sepsis, and they unquestionably can cause uncontrolled blood sugars in diabetics. Today, I would like to mention, the importance of our hands during emergencies or some type of collapse. Most of us have endured a fairly minor injury of our hands or fingers and found that it was exceedingly difficult to change diapers, wash dishes, do laundry, care for animals, or even to type out an article when you have a deadline. Today, I want to mention some things that can happen to our hands and plans we can make for them in anticipation of such difficulties. Some years ago now, my husband and I tired of suburban life and the "skills" our children were learning which focused on consumerism as much as anything else, by virtue of where we were living. We wanted them to experience a bit more of some of the important rural things we had experienced growing up. With this in mind, we bought large acreage and began to seek a builder for our first farm. Within a year we were living there and learning a number of things, not all of them fun or pleasant ! I thought that as a nurse, I knew a fair bit about my own hands and how chapping could so easily occur with frequent hand washing. However, I was a novice when it came to "farm hands" and how to treat them. 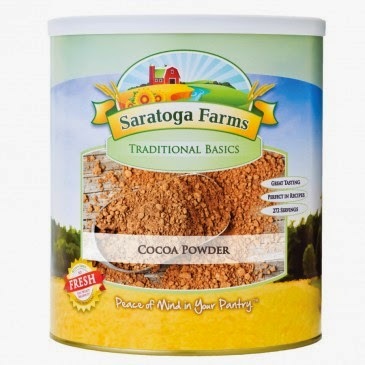 When a new farm is constructed in many places, there is an abundance of red clay. Red clay gets on everything from children's shoes and socks to boots and everything else. Simply taking a dog for a walk on a rainy day can result in your getting red clay on your hands. This results in drying and cracking which can be resistant to simple moisturizing creams. Cold weather and near frostbite will cause small cracks to develop, particularly on the edges of nail beds, especially thumbs. This can be very painful, and it can be difficult to excuse yourself from your normal activities in order to allow them to heal. Dry cracked hands can lead to infections around nail beds, which are also called paronychia (pronounced par-on-IK-ee-ah) Most of us can treat our own paronychia to resolution, but for those taking immune suppressive medication for autoimmune disorders, for cancer, or for those who are diabetic, paronychia can be especially dangerous and should be treated by your family physician or primary health care provider. The hazards for hands are many. Paronychia may occur, chapping, cuts, lacerations, and even fractures may occur. We need to prepare in advance to avoid hand injuries in anticipation of emergencies where we might use our hands differently than we do today. If we were to experience an emergency where we perhaps did not have access to our dishwashers or washing machines then many of our hands would be exposed to water and detergents more often than they are now. Painful hands can make optimal dexterity difficult. During an emergency where you may need to do a number of things that are not well practiced for you, is the wrong time to have hand discomfort, pain or to have an infection in your hand when you need to treat a wound on someone else. Damage to your hands in an emergency is not inevitable. These are some things you can do to help avoid some of the damage that can make optimal dexterity difficult. 1. Purchase a variety of vinyl gloves online. 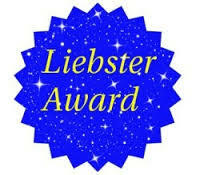 (It is my experience that the best buys are online. If you need them immediately, then Sam's Club has excellent vinyl gloves in tissue box style, for about eleven dollars a box.) They should be sized for each family member, as there are circumstances where each family member should be gloved, not simply the primary "dishwashing" member. Most hospitals have or are completing the process of switching to all vinyl gloves. Latex allergy is such a problem and has caused deaths among people who have simply donned a pair of latex gloves. Latex allergy can develop at any time without warning. Purchase vinyl gloves and sidestep this serious potential problem entirely.. The least expensive place to do this is online. Shop around and get boxes which are sized for each family member. Children will need to do dishes too, and they may need to do some tasks which will require gloves. We have pink smalls for the tiny handed people here, and blue vinyl for the larger hands. I tend to buy different colors in different sizes to avoid the frustration and confusion of trying the wrong size. If the gloves are color coded and you buy them that way, you don't need a great deal of light in the room in order to see the size of the gloves on the box. This is useful for farm and household tasks as well as medical or veterinary clean up. 2. If you must do a task which requires some dexterity out of doors or in Winter, wear vinyl gloves and then cotton gloves over them. You can care for animals, change water buckets, tie and untie ropes etc, with protection for your hands from both cold and wet. This will go a long way to protecting your hands from chapping and cracks, especially during Winter. You can wash the cotton gloves later when necessary. Harbour Freight sells packages of twelve pairs of cotton gloves fairly reasonably, either online or in their stores. 4. The best strategy in treatment of frostbite is simple avoidance. Frostbite will be the subject of another post here in future. 5. Use common sense when using knives and scissors, especially in low light. A small cut on your finger or hands can be disabling or annoying enough to limit your effectiveness in an emergency situation. Imagine a cut in an uncomfortable position on a finger which limits your ability to rack the slide on a semi-automatic handgun when you definitely need to. 6. Don't open packages or cardboard containers with your hands and fingernails. Papercuts and cardboard cuts often become infected. Use scissors or other implements to open packaging, and be careful doing so. 7. Stock up on a mild yet effective hand cream or lotion to be used when the gloves come off, the hands are washed, are dry and they need protection. This simple strategy is an important way to avoid calluses, peeling skin and irritation, especially in times of heavy hand use or Winter. 8. 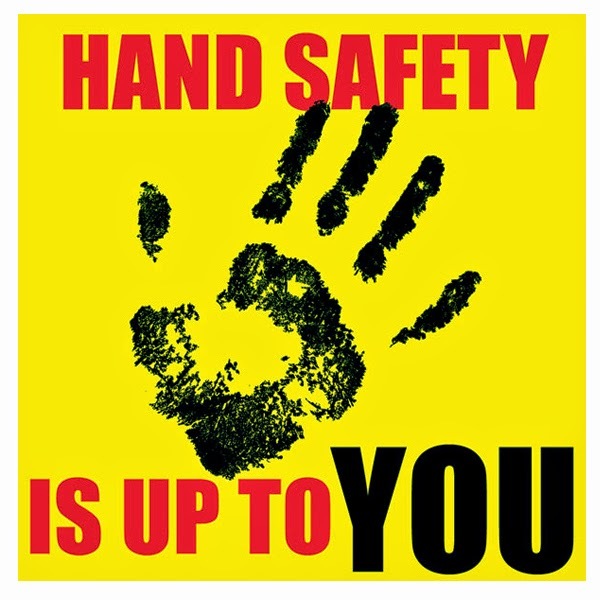 Take great care to avoid injuries to your hands whether these injuries occur through dishwashing, opening cardboard boxes, using a handgun, using a rifle,tearing off tin foil from a serrated box etc. This is one time in which multi-tasking might not be so bright. 9. Stock a well organized first aid kit. The easier it is to use and the better it is, the more likely you will be to use it. Using the kit and applying either neosporin, apinol or other germicides to a wound is more likely to prevent infection than simply ignoring a small cut on one's hand or finger. 10. Place the vinyl gloves you bought in strategic locations in your home. Make them easy to locate so you will actually use them. Wear vinyl gloves when washing dishes, cleaning toilets with a brush, or doing other tasks which could expose your hands to allergens, chemicals or other hazards. I can use one pair which lasts me all morning in Winter. In Summer, I use more of them..
11. I don't use a great deal of machinery, but many machines can be dangerous to hands. Make sure that you understand how the machines you are using work. Don't rush through important work. Don't use your hands to do things that require specialized gloves or another tool. Don't take food out of the microwave with bare hands ! 12. The use of machines which cause continual vibration leave us particularly vulnerable to carpal tunnel syndrome. Limit your contact with vibratory machines if you can. Repetitive motions of other types can also irritate the carpal tunnels. Try to split up repetitive motions with other activities. 13. Use extreme care in the workshop or when working on your car. It's not the novices in the workshop who most often lose fingers, it's the experienced man in a rush or who gets distracted. In a collapse or emergency, the reattaching of a finger might not be a possibility at all. 14. Don't perform difficult or dangerous tasks when you are tired or when you have taken medication which clouds your sensorium. Even loratadine which is not supposed to cross the blood brain barrier appears to make reaction time just slightly slower than normal for that individual. Do the work in the morning, and take the antihistamines later. This is a start. Think about your hands and protecting them as we move into challenging times at home, on a farm, or at work. Even setting up a tent has inherent hazards. Try to practice the safest and best practices now, in advance of an emergency.